Even though I’ve kept some type of blog online since about 1998 (you’ve got mail!) throughout the years I’ve written notes down on paper, too. When traveling I always have a little notebook somewhere. Today I found one such notebook in the back of my closet. 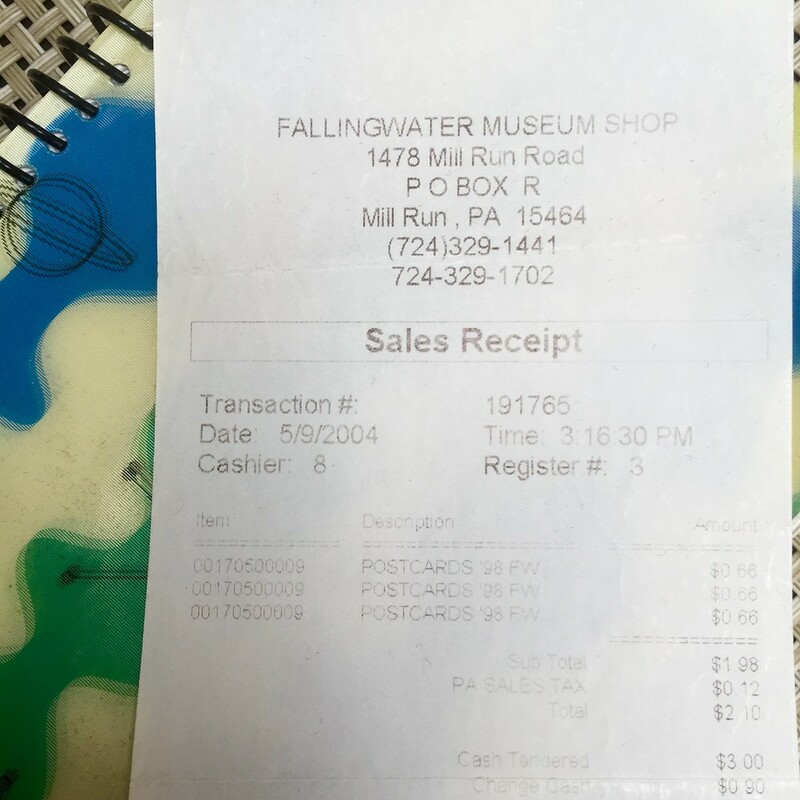 It had a 2004 receipt from when we rode out to Fallingwater tucked inside. Apparently I bought postcards, no surprise there. 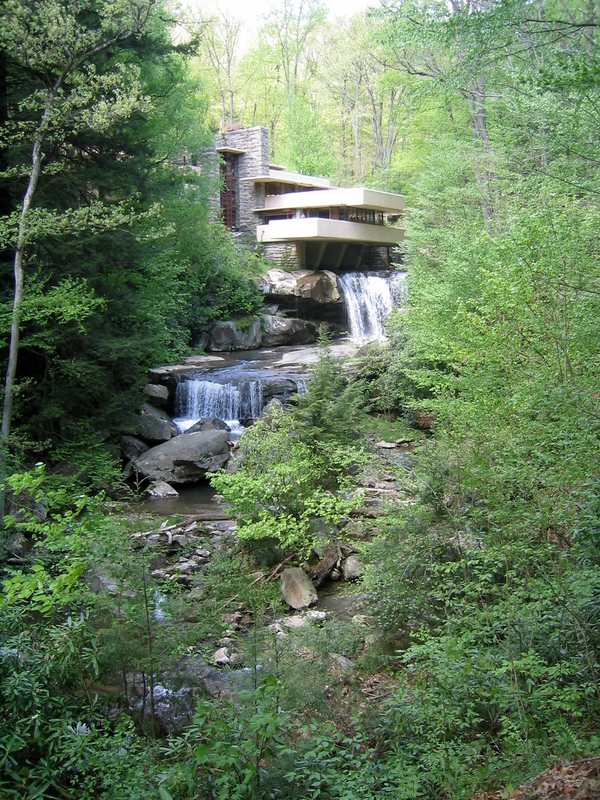 Fallingwater was something that rattled around in my brain for a long time. A dream fulfilled.